Prime, level & cul-de-sac location bordering trail leading to neighborhood parkland in the heart of New Vernon. Numerous and beautiful architectural details through out. This home has been very well designed, its marble entry hall leads to two-story living room circled by floor to ceiling windows filling it with light & garden views. Social gatherings are encouraged by the openness of the 1st floor & the access to the outdoors from every room. The kitchen, recently updated has a center island with breakfast bar, granite countertops and beautiful backsplash. There is a master bedroom with sitting room on the first floor, but there is also a two room suite that could be used as a second master or guest suite on the 2nd floor. Finished LL with rec & exercise rooms. SQFT per town. 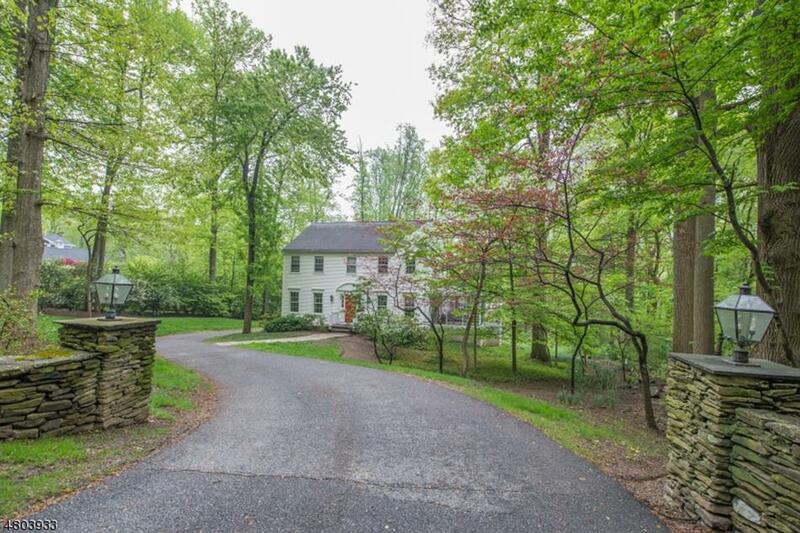 This beautifully renovated and in true-move in condition home has it all: cul-de-sac location, heated Gunite pool, generator, updated and spectacular and private 7.56 acres. This extraordinary home had a total makeover both inside & out (Improvement List available): gourmet EIK 10′ island w/granite countertop, 2 wine refrigerators, stainless steel appliances & a fabulous breakfast room with cozy gas FPL. Sliders lead to the great cedar deck from most of 1st floor rooms. All baths updated. The additional (finished 770 SqFt) walk-out LL with family room, FPL, wet bar, opens to a patio & beautiful brick walls to the oversized pool. 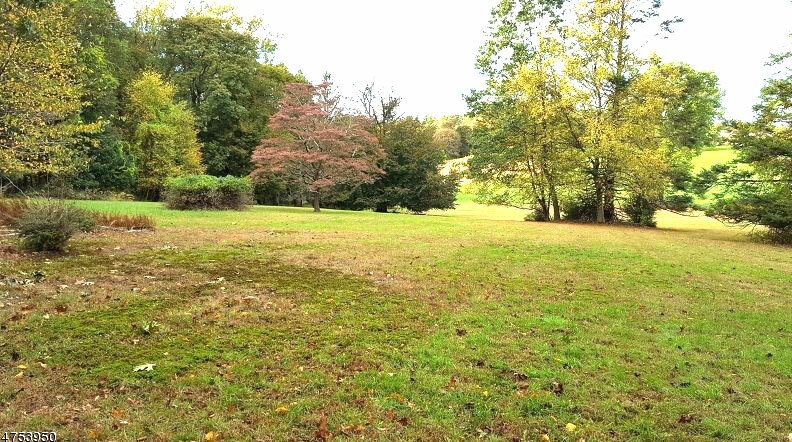 Privacy yet within minutes to town, schools & just a few minutes from vibrant Morristown, train station & access to major highways. Unfinished attic space! Circular drive welcomes you to this lovingly maintained home with many newer features & upgrades. Conveniently located on a small cul-de-sac road. Great floor plan & yard with pool for entertaining. Spacious foyer with custom wrought iron banister & hardwood floors with walnut inlay. Family room with fireplace flanked by custom built-ins. Light & bright rooms enhanced by bay windows. Updated kitchen has center island with coffee bar, stainless steel appliances, granite counter tops, custom cabinetry wall unit. First floor 5th bedroom/office. Finished lower level for play days and sleep overs. Neighborhood close to schools, churches, library, restaurants, parks & recreation for all seasons. Private level fenced backyard with in-ground pool. Location provides quick, easy access to popular commuting routes. A sophisticated, move-in condition home conveniently located with total privacy and beautiful stone walls & paths leading towards the gorgeous perennial gardens. SF per town NOT including basement. Stunning two-story marble foyer with dramatic floating staircase; spectacular two-story family room with stone fireplace, unbelievable mill work, Palladian windows, custom built-ins are just a few of the many architectural details this home offers. All new Pella windows through out, new Azek and copper trims. The master bedroom boasts a turreted sitting room, high ceilings and lavish marble bath. There are four bedrooms & 3 full bathrooms on the second floor. The 1,500 SF plus walk-out lower level offers a full kitchen, full bath, sauna, exercise room, recreation & game rooms, cedar closet plus plenty of storage. LOCATION! VIEWS! GARDENS! 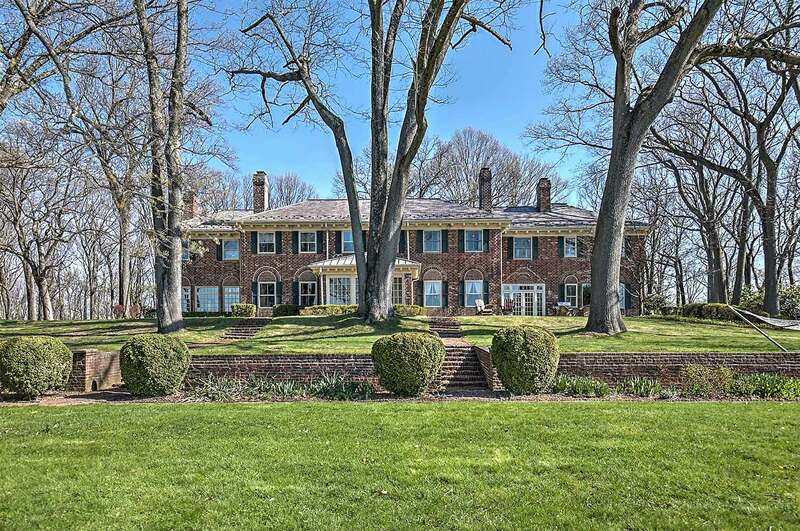 Elegant colonial in move-in condition located on 5 acres on cul-de-sac. This home boasts eat-in kitchen, perennial gardens, pool, deck, finished walkout basement. This home has it all. An office with spiral staircase to the lower level, separate entrance & views. Architect designed master bath with barrel ceiling, oversized skylight, radiant floor & extra large whirlpool tub. Walk-out finished lower level with recreation room, game room, bedroom, bathroom and wine cellar. 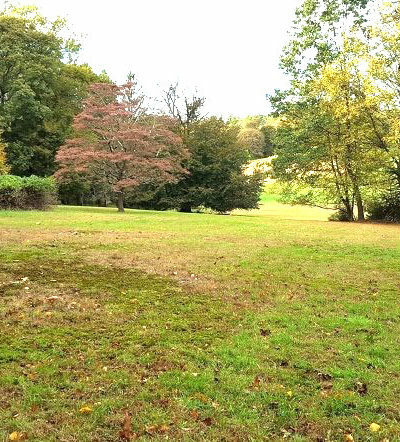 A gorgeous property with pastoral views located in a desirable area of town perfect to build your dream home. There are open fields, mature trees. Easily accessible from 2 roads and near town and schools. 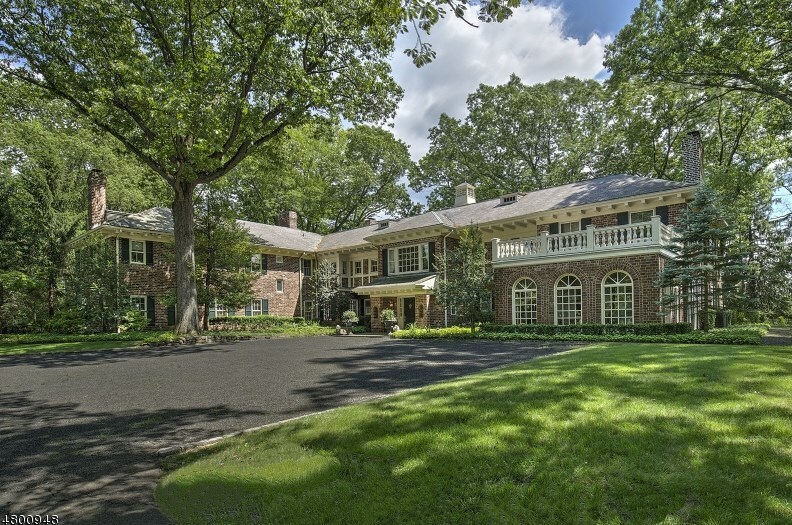 This property is ideally located near town center, schools and just a few minutes drive to “buzzing” Morristown, Bernardsville, train stations, major commuting roads and the airport. Water, electric and gas on street. Soil tests done in 2001. 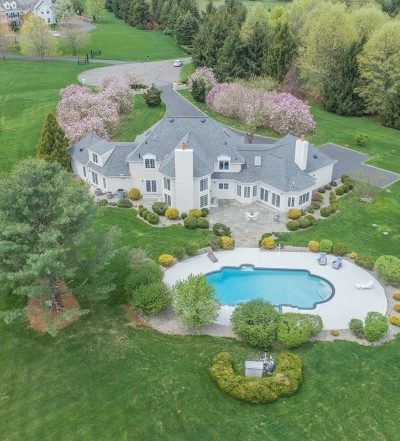 Beautiful stone walls & paths lead to gorgeous perennial gardens of this sophisticated, move-in condition home with total privacy conveniently located near towns. SF per town NOT including basement. Stunning two-story marble foyer with dramatic floating staircase; spectacular two-story family room with stone fireplace; unbelievable mill work, Palladian windows, custom built-ins are just a few of the many architectural details this home offers. All new Pella windows through out, new Azek and copper trims. The master bedroom boasts a turreted sitting room, high ceilings and lavish marble bath. There are four bedrooms & 3 full bathrooms on the second floor. The 1,500 SF plus walk-out lower level offers a full kitchen, full bath, sauna, exercise room, recreation & game rooms, cedar closet plus plenty of storage. A one-of-a-kind home tucked away on 6.37 acres at the end of a private road. This home, designed by Eric Baker, offers beautiful architectural details and Smart Home features desired by today’s buyers. The colors of Provence highlight the many comfortable living spaces. Unique architectural features abound: Charming spacious gourmet kitchen with island & separate eating area with built in buffet cabinet, flush fireplaces, wood beam ceilings, one-of-a-kind sinks in kitchen, powder room & master bathtub, living room with dual fireplaces. The finished Lower Level has state of the art theater (2016), music room, kitchenette, full bath with steam shower, 2nd laundry, change room all accessible to patio w/ 2 grills, fireplace, and pool area. 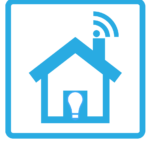 The Smart Home system was installed in 2017. Stunning custom home on exquisite 5.5 professionally landscaped acres with beautiful custom pool house, salt water pool, Polaris & automatic built-in safety cover. Tenant to fill in NTN application. The open floor plan through out is flexible and inviting for casual or formal living and entertaining. Gourmet kitchen opens to Great Room and bright dinning area with custom built-ins. The dining room has 2 butler’s pantry. The master bedroom suite is unparalleled with many closets, sitting room w/FPL & unbelievable state-of-the-art double bathroom. The awesome walk-out finished Lower Level offers media, exercise, art and game rooms with full bath. 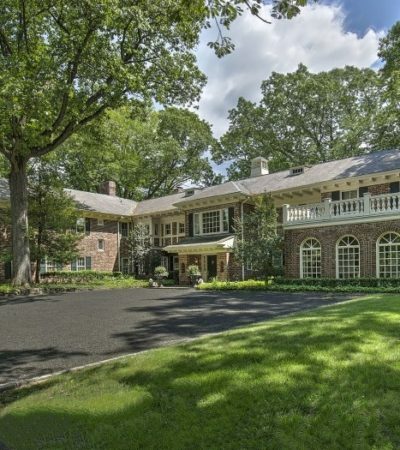 There are four car garages plus wonderful Porte Cochere with gate. Tenant pays 1 month commission. A step back in time to the magnificence of turn-of-the-century fine craftsmanship, yet enjoy the modern amenities you desire in this breathtaking estate designed by New York firm Lord and Hewlett. 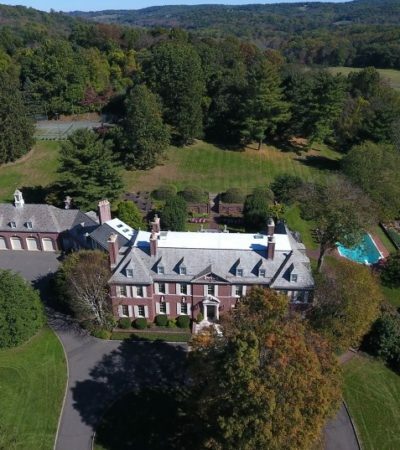 This glorious hilltop Manor on more than 27 acres offers unsurpassed views of rolling hills, lush woodlands, guest house, chauffeur’s house, 6 car garage, pool & tranquil pond with dock. The stunning views accent every room from walls of Palladian windows & French doors adding a touch of natural beauty & light to the spacious floor plan. This all brick home has been recently beautifully updated & renovated. The stunning kitchen is a chef’s dream. Perfect home for casual or formal gatherings. Caterers would love the 2nd kitchen & guests will enjoy their own private apartment. Office with its own entrance. 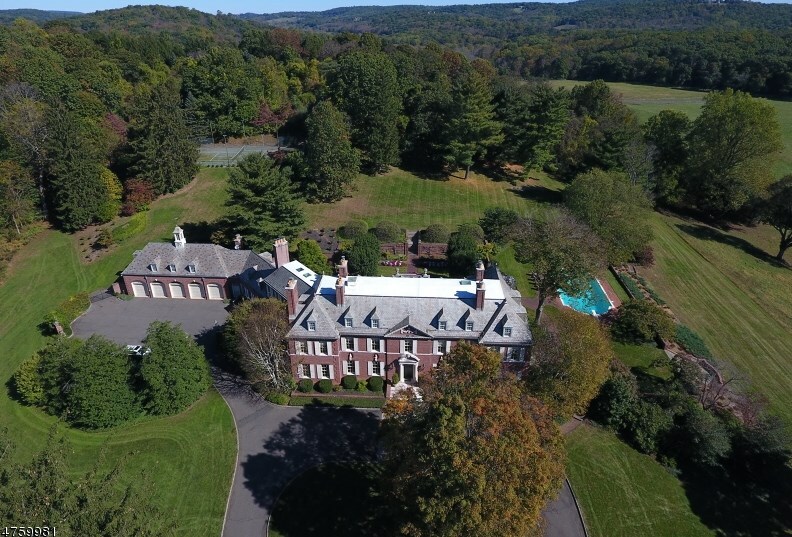 One of Peapack-Gladstone’s grand turn-of-the-century-estates, on almost 63 acres of rolling countryside, designed by architect James C. Mackenzie & fashioned after a classic Georgian estate including a state-of-the-art 17-stall brick stable w/tack & carriage rms, carriage house, guest house, 3 apts, greenhouse, barn, pool, tennis ct. along with beautiful gardens. Exquisite architectural detail, generous room dimensions & luxurious appointments are the hallmark of this home. Amenities include wine cellar with tasting room, high ceilings, marble & hardwood floors & of course the endless views. 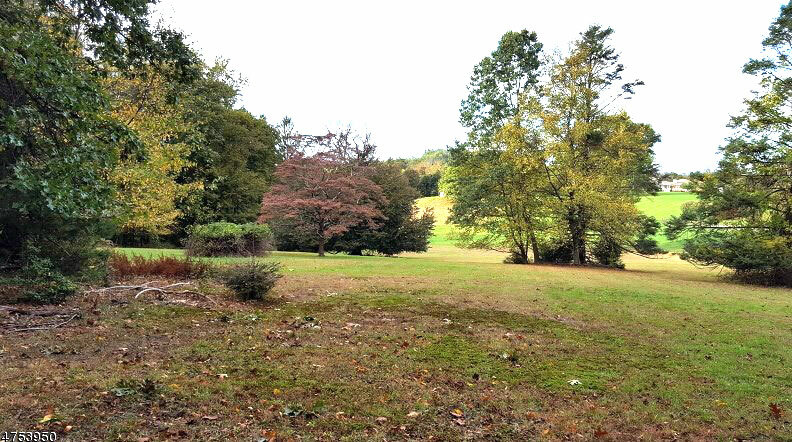 The estate consists of 3 parcels: 39.97 acres, a 10 acre; and a 12.66 acre.